Equinix has broken ground on its third International Business Exchange (IBX) data center in Singapore, where it is also expanding another facility to make room for increased demand from the financial services and cloud computing market. It originally announced it was building SG3 in March, with partner Mapletree industrial Trust, a local real estate investment trust. 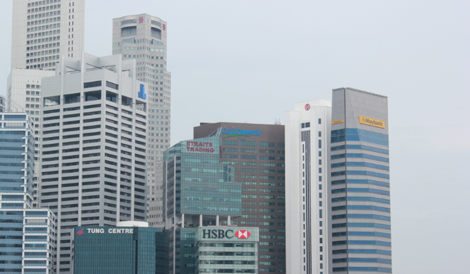 It said SG3, which will provide about 385,000 sq ft of gross floor area and 5,000 cabinets, is scheduled to come online in the second half of 2014 with 1,000 cabinets as phase 1, which it is investing US$50m to $55m to build. In today’s announcement, Equinix said it will also invest $55m to build out its fifth phase of SG2, its second IBX data center built on the island. This will bring space much faster to the market, with 920 additional cabinets available by the end of this year. Once complete, SG2 will have 4,176 cabinets in its high-availability environment for the delivery of cloud-based services. Equinix will use a dedicated fiber network to connect its SG3 facility with its first Singapore build, SG1, which it says is the most network-dense on the island, and which is located nearby. Equinix president for Asia Pacific Samuel Lee said Singapore is becoming one of the fastest cloud adopters in the Asia Pacific region thanks to the rise in use of social networking and new consumption models for digital content. “As a result, organizations including financial institutions here require an efficient, reliable and secure data center to support the growing number of digital platforms they use to serve their customers,” Lee said. Lee said as a result, SG3 will be compliant with guidelines introduced by the Monetary Authority of Singapore in July 2012, and will also meet strict guidelines for energy efficiency. Equinix plans on introducing technologies already put in use at SG2, including motion-activated lighting, electrically commutated fans and cold-aisle containment. It said it will use recycled NEWater for cooling purposes and install a solar power system, which will be a first for Equinix in Singapore. Mapletree Industrial Trust Management CEO Tham Kuo said Mapletree is building SG3 to a BCA Green Mark and LEED design standards.